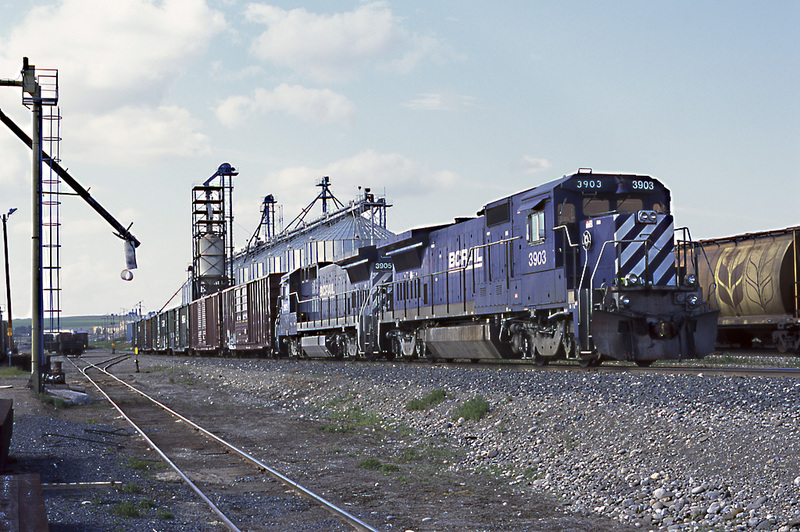 In 2004 CN took over the operation of BC Rail. I had planned a railfanning trip to shoot what remained of the equipment and operations that summer before CN could “mess everything up”. 2 days before I was to leave for Pemberton BC (to shoot the helper operation) a friend suggested I go north and that he tag along. What was to be a week long trip turned into a 3 day trip (due to the friend’s work schedule) and I had done no research on the lines north of Prince George. Although the weather was wet, when we rolled into the Dawson Creek yard the first thing I thought was “This is begging to be modeled”. 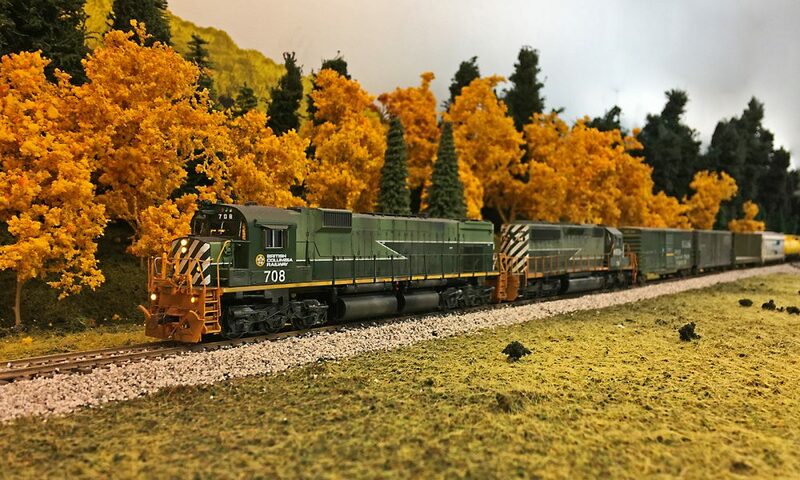 A few more trips the following year and I was hooked, I wanted to model BC Rail’s Dawson Creek Sub! 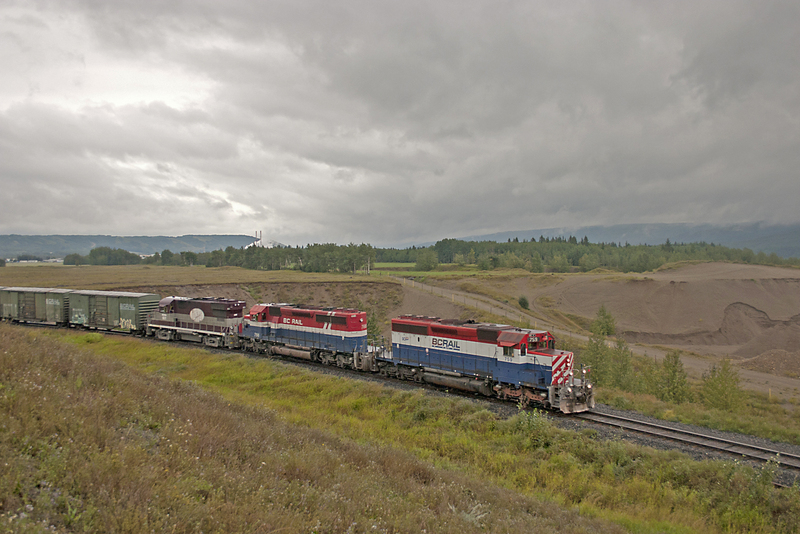 Although not on the Dawson Creek line, here’s a shot I took on that fateful trip of a southbound freight near Taylor BC. Can’t beat 2 SD40-2’s and an RS-18CAT! 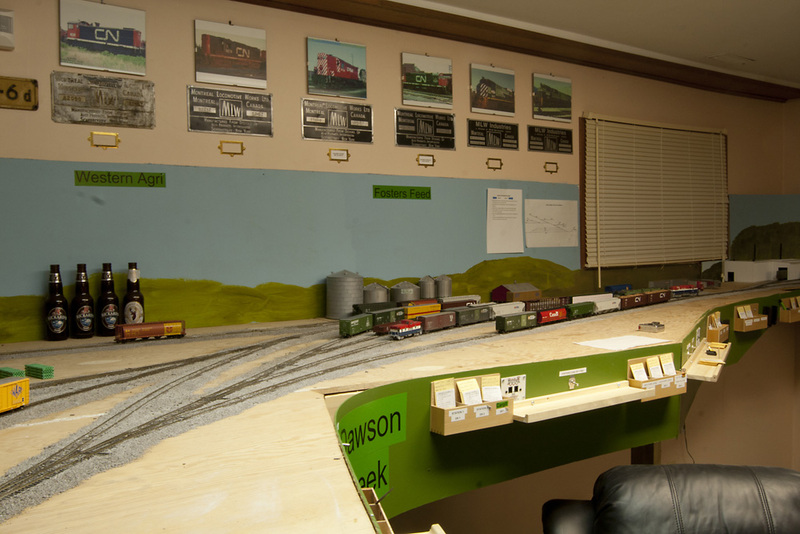 So when I returned home did I start building the Dawson Creek Sub in HO scale? Well, no. 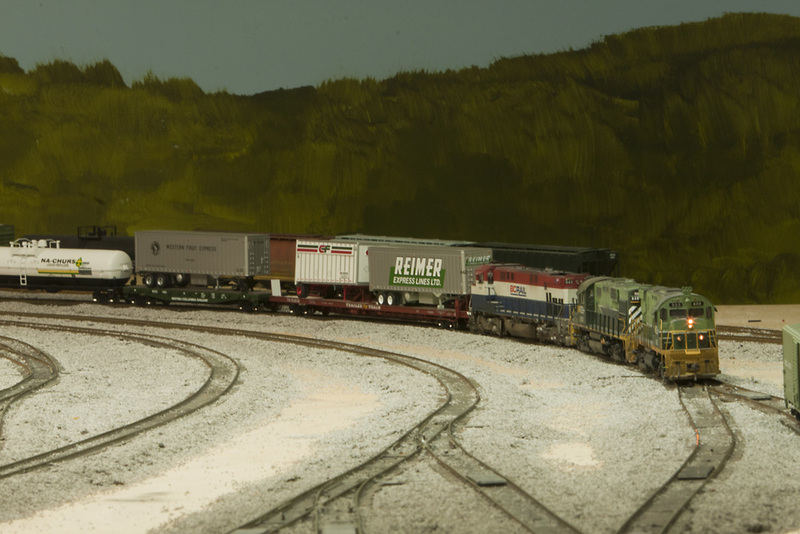 At the time I was into On30 narrow gauge, and was busy modeling the Rio Grande in 1948. Time passed and I was not happy with the narrow gauge idea, and I found myself flipping through the pages of JF Garden’s British Columbia Railway more and more. I ended up using Tim’s track plan for Dawson Creek (thanks Tim!) modifying it slightly for the space I had. 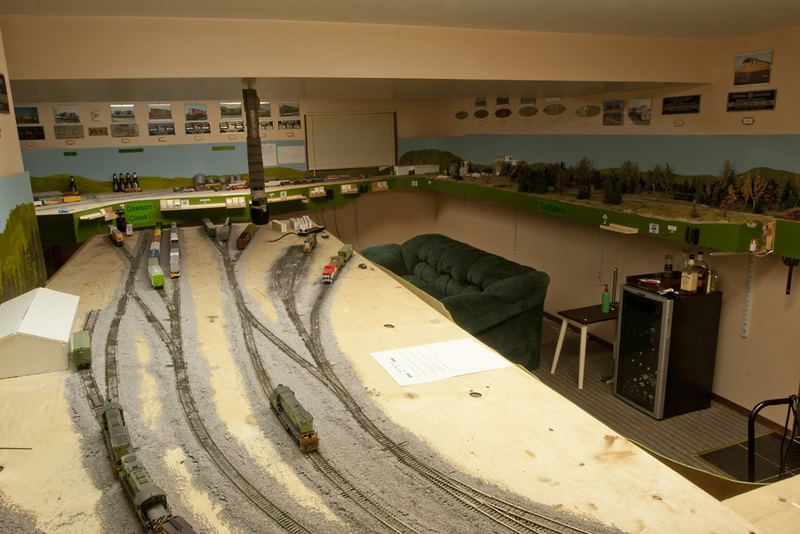 The layout was roughly 17 feet by 20 feet (I think) and ran around the walls of our finished basement. 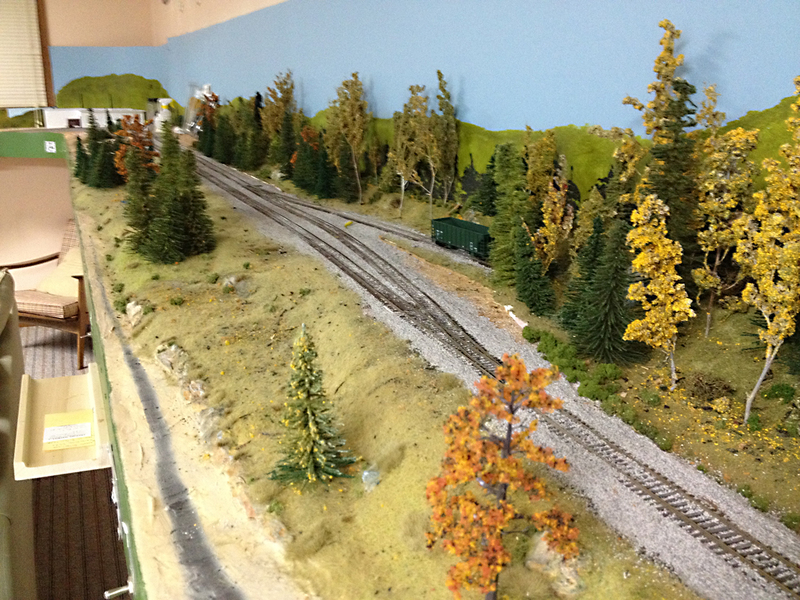 I finished the track work and started running operating sessions with a group of local modellers in or around 2011. This entry was posted in History by tsokolan. Bookmark the permalink.